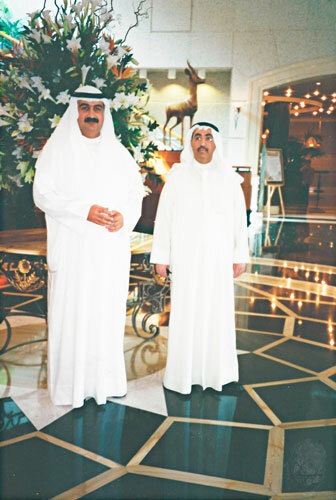 The lobby of the five-star hotel in Dubai, United Arab Emirates, where Carolyne stayed. 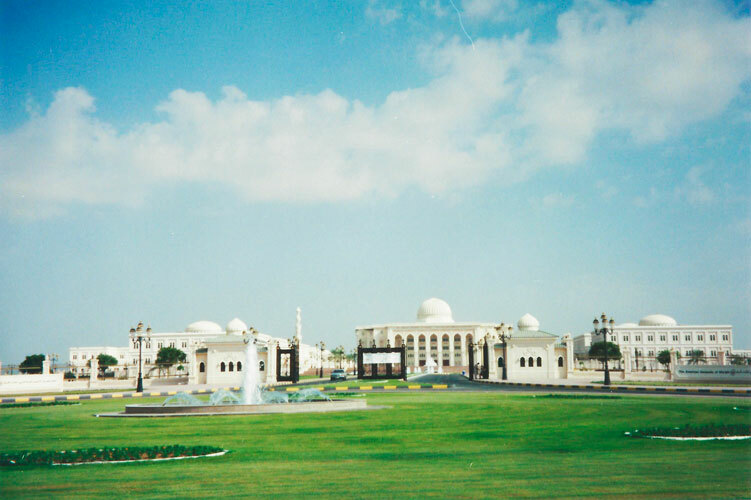 American University of Sharjah, University City (site of various educational institutions), Sharjah, United Arab Emirates. Chapter 10: The Trishaw Ride. 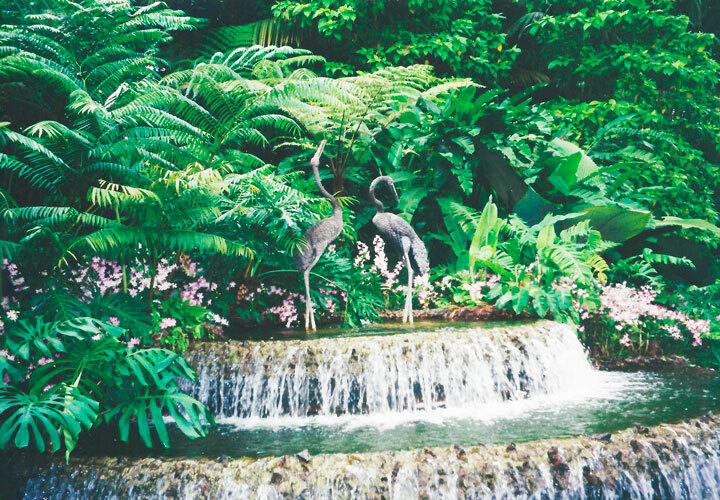 Tranquil orchid garden in Singapore that Carolyne toured before taking her trishaw ride. 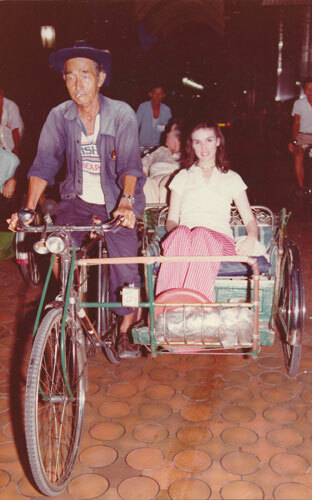 Terry (foreground) is calmly enjoying her trishaw ride in Singapore while Carolyne (on the left behind Terry) looks around apprehensively. Chapter 10: Poverty and Riches. 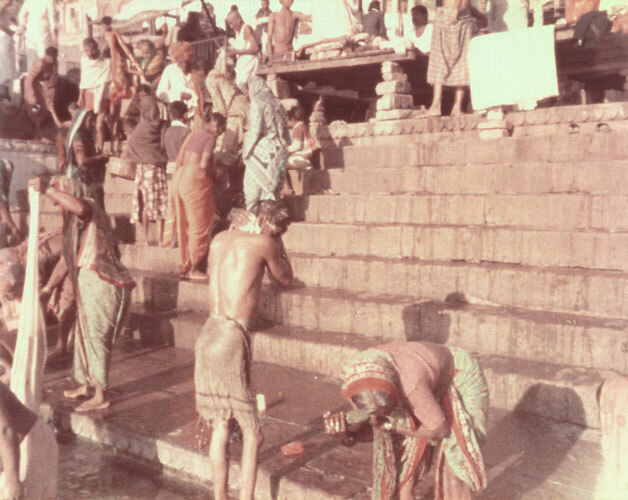 Bathers at the Ganges River, Varanassi, India. 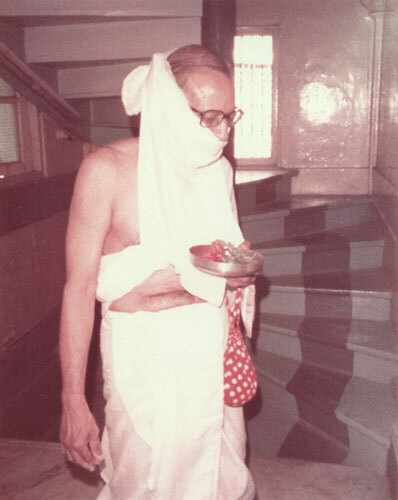 Religious practitioner in India wearing a mask over his lower face to prevent harming a gnat that might fly in his mouth. 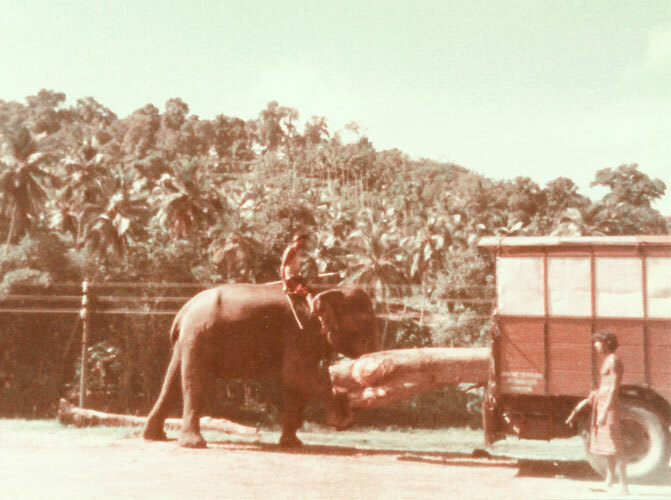 Work elephants loading lumber on a truck. 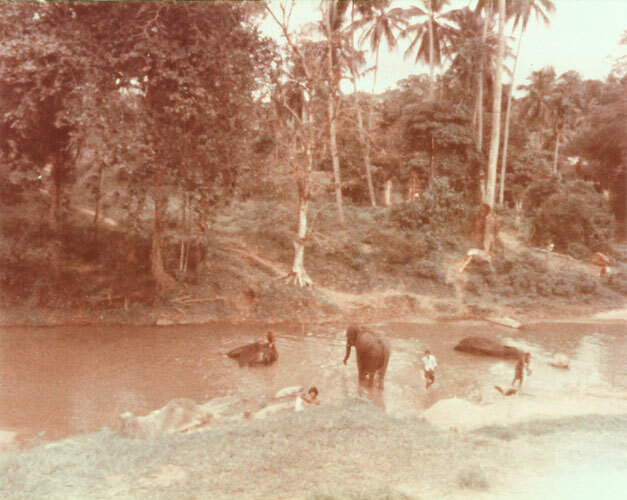 Work elephants being bathed and scrubbed with coconut husks near Kandy, Sri Lanka. 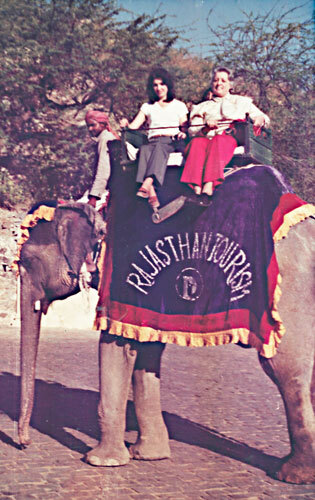 Carolyne and Terry riding an elephant in India. 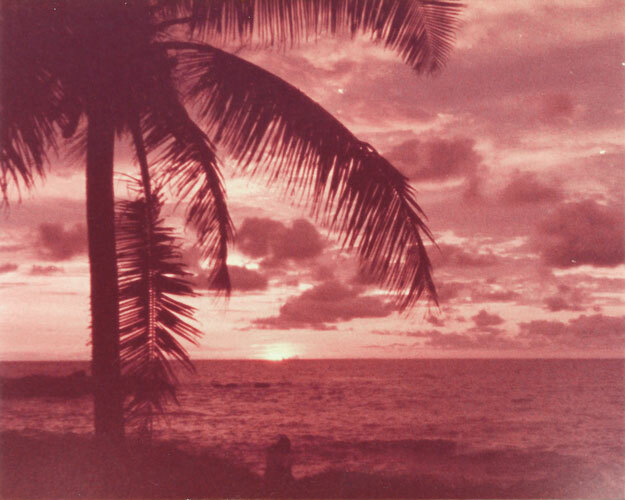 Beautiful sunset in Sri Lanka. 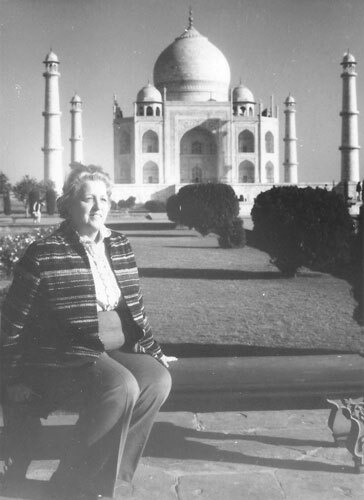 Carolyne at the Taj Mahol in Agra, India. Chapter 10: Making the Headlines. 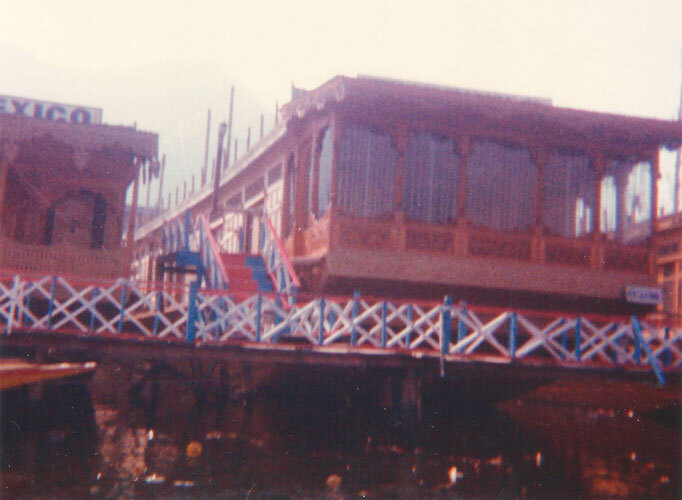 The houseboat where Carolyne stayed in Srinagar. 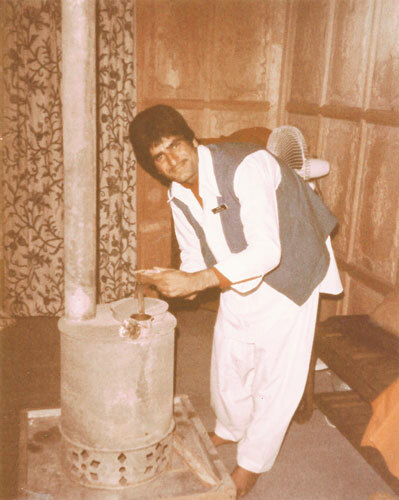 The houseboy who kept the fire buring in the potbellied stove on the houseboat in Srinagar where Carolyne stayed. 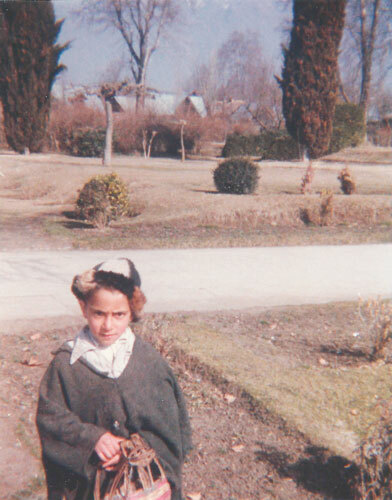 One of the children in Srinagar holding a pot of charcoal to keep warm. Newspaper article about Carolyne's tour making the headlines.